At Last….A Proper Wine-tasting! 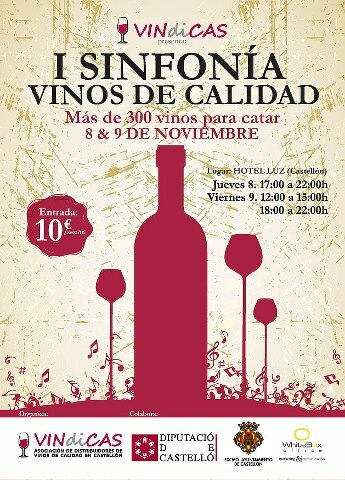 Sinfonia-Vinos de Calidad in Castellon. An hours drive from Valencia to Castellon, half an hour driving around for a parking space! Thank God for abandoned building sites. Now, as it happened I had plenty of time and arrived with some to spare before the morning session of this tasting began. 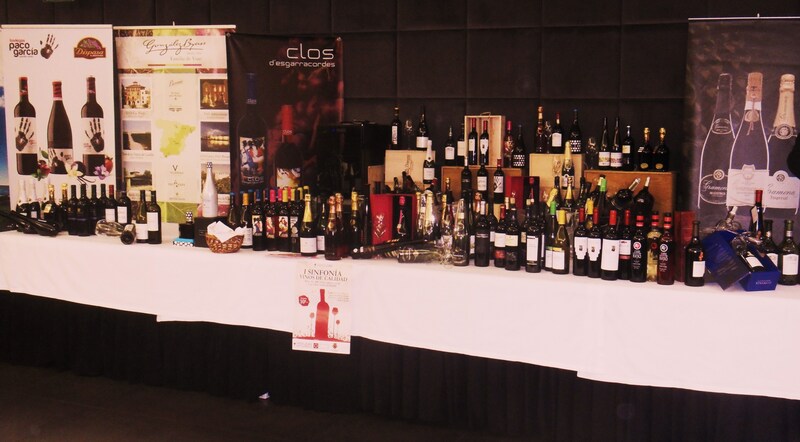 Set up by the Association of Distributors of Quality Wines in Castellon and supported by both the Castellon provincial government and the Castellon Town Hall some 300 wines had been assembled from across Spain with a good representation of wines from Alicante, Valencia, Utiel-Requena and Castellon itself. The trouble is, after eight years tasting these I know many of them very well, indeed have visited the bodegas and written about them. No, today was a chance to put most of these to one side and enjoy a tasting of wines from the rest of Spain. 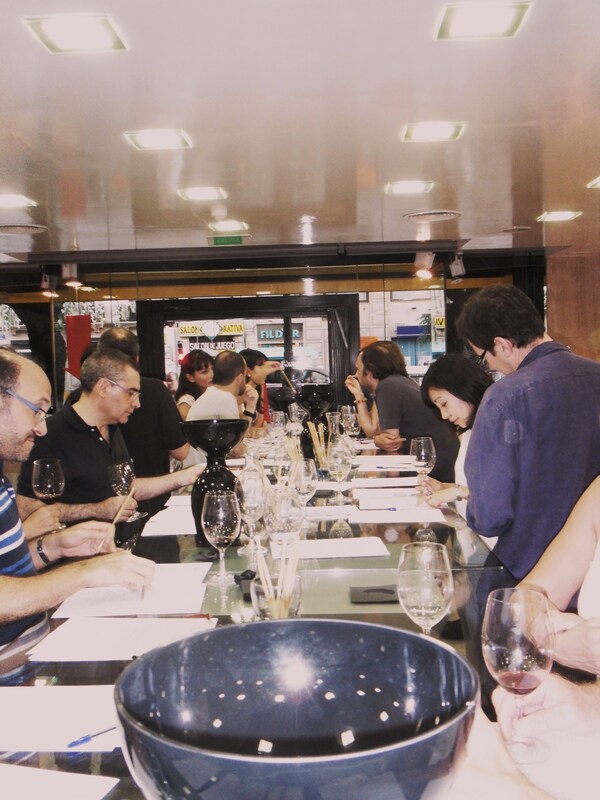 So, I am sorry Chozas Carrascal, Vinya Natur, Aranleon, Vega Palancia, Vicente Flors, Gandia, Clos D´esgarracordes, Hoya de Castillo, Bocoi, Bocopa, Mendoza and one or two others…..I concentrated on the rest. One Table Full of Wines! The Hotel Luz was the venue, on the main road into town opposite the bus station. In a Conference suite the tables were laid out with each of the ten or so distributors chosen wines….wines they have in their catalogues to sell to wine-bars, restaurants and the few clever Spanish wine buyers who understand how the system works here. I have not always been that polite about distributors or indeed the system by which bodegas have to sell their wines, but this lot could not have been more friendly or attentive and many of them were more than happy to chat about their wines, the producers and their respective qualities that this rapidly turned into one of the best tastings I have been to. Another with Wines Yearning to be Tasted! I started with a wine from Juve y Camps, better known for their Cavas this Ermita d´Espiells ( DO Penedes) was a young still white blended from Macabeo, Xarel-Lo and Parellada…..the classic catalan cava blend! Pale yellow, clean , bright, with good legs, it is 11.5%ABV. On the nose it is light, and in the mouth I found it a little bland , dry with a minerally finish. Undoubtedly good with fish or seafood I can think of better wines for less than the 7€ or so this sells for. Better was the young red Rioja I tried next. I last tasted a wine from Pujanza at a Verema tasting and was looking forward to this. The 2010 Hado is a 100% Tempranillo with 12 months in a combination of different oaks and 14.5%ABV. A deep cherry red with violet edge, brilliant and with long legs. On the nose quite spiky cherry fruit, mature, expressive with balsamic notes and oak. In the mouth quite intense with creamy fruit, soft tannins and a long fruity agreeable finish. Again a little strong at 10€ a bottle. Sticking with the reds I next tried the Casa Vella D´Espiells ( Penedes ) 2007 a 14% ABV Cabernet Sauvignon also from Juve y Camps. 12 months in french and American oak and 2 years in bottle precede release. Intense ruby-red , glycerinous long legs colouring the glass. On the nose, intense, subtle, elegant with good balsamic notes. In the mouth red fruits, mature, vanilla, soft oak and tannins, a good long finish. At around 10€ worth every centimo! Time to freshen the palate and so to another white, this time a Verdejo from Rueda, Erre de Herrero 2011 young white at 12.5%ABV, a white without crianza. A pale yellow with good long legs, clean and bright I enjoyed the fresh gooseberry nose with green apple and pears. In the mouth fresh, well-balanced and with a nice, dry, punchy finish. I would be happy to spend 6€ a bottle on this and to drink it with fish, rice dishes, even some meats. Ooops, Wines not to be Tasted! Sticking with a white theme I moved on to a Garnacha Blanca, Llàgrimes de Tardor, 2009 Terra Alta ( Cataluña) Coop St Josep de Bot. I like white grenache , it has an inherent sweetness and this did not disappoint. Pale yellow, clean, bright with long legs. The nose is intense, ripe white fruits, melon, tropical fruits. In the mouth fresh, silky even, retaining the ripe fruit but with a quite oaky, dry finish. Full and long. Around 7.5€ a bottle. Envidia Cochina 2011 Tete de Cuvee Rias Baixas, Albariño. `The poionous worm of envy´ is the name on the label from the Piñeiro family vineyard in Galicia. The wine in the bottle would make many wine makers envious! Very pale yellow, clean, bright. On the nose wonderful tropical fruits and bananas. Sweet peach and apricot. Honey. In the mouth fragrant, expressive fresh fruit, but dry, mineral, grapefruit, long balanced finish. A treat this wine, it has spent some time in contact with the lees and is rich as a result….about 15€ a bottle. Time for a fun red and did I find one! 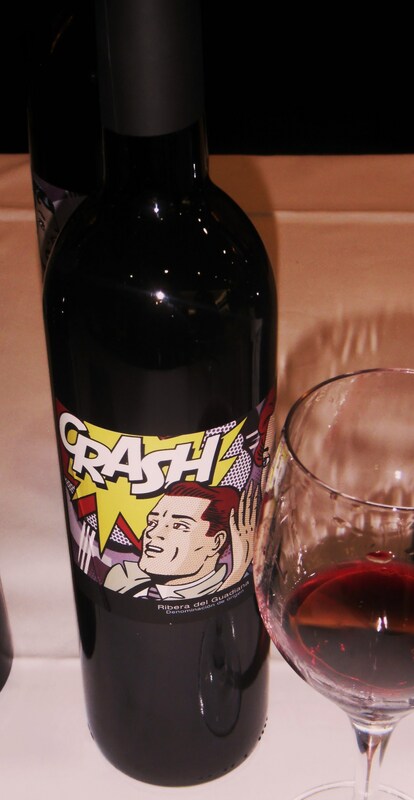 `Crash´with its pop art label is a joven, 2010 from Ribeira del Guadiana. A blend of Garnacha, Garnacha Tintorera, Syrah and Tempranillo at 14.5% ABV this appears to be a medium bodied, cherry red wine with long legs. Intense cherry fruit, ripe, garnacha fruit. In the mouth meaty, smooth, spicy and fruity, full. Long full finish. A real easy drinker and at less than 5€ great value for money. A different grape, Mencia, from Bierzo (Leon) and Bodegas Godelia. A 2009 with twelve months in fine grain oak and at 14.5% ABV this is another deep dark cherry red wine with long, slow, glycerinous legs. On the nose it was a little closed, but what was there was ripe red and black fruit. In the mouth smooth, good fruit, soft tannins, elegant with a long finish, a mix of minerals and ripe fruits. Nice wine for 10€. Reymos is a light espumosa from the Cheste Coop, made from Moscatel and about 7%ABV. However there is a big brother on the block…Reymos 1918 and weighing in at a fuller 13%ABV. Also from Moscatel this is not the easy toasting wine so beloved at every celebration here in Valencia. Oh no…this is much more serious. It has the good crown, long persistent bubbles, and is clear, bright if pale in colour. But of course, it is not a cava because Moscatel is not a permitted grape in the DO. It does have a moscatel nose, peaches, apricots, and in the mouth is subtle, dry, fresh and with elderflower floral notes. It is described as Brut Nature and I could get used to it! No price for it yet though. Just in case anyone noticed that the last wine comes from the heart of DO Valencia, the next one also slipped past the no Valencian wines policy as well! Tony Sarrion´s Mestizaje Mustiguillo 2011 white wine is a blend of Merseguera from old vines which he has recovered, Malvasia and Viognier. it shows a good 13% ABV for vines grown at over 900m. Straw yellow, clean and bright with good legs on the nose it is quite restrained , with hints of white flowers, but in the mouth it is elegant, full, honey sweetness balanced with a mineral long creamy finish . Well worth the 9-10€ if you can find it! Ok, back to Spain in general and the Bajo Aragon in particular for two wines from Swiss owned Venta D´Aubert. The bodega is in the Teruel province, and produces a range of 6 wines. I started with the Viognier 2011 Vin de Terra. 13% ABV it is pale lemon, clean, bright with long legs. On the nose slightly musty at first then spicy, apricot fruit , almost oily ( I am sure I could smell lamb cooked with rosemary ) . In the mouth drier, the fruit not emerging , good acidity, and with a steely long finish. Nothing wrong with the wine I think except that it can only have recently been bottled and I want to try this again! The Tinto 2004 is a blend of 40% Cabernet Sauvignon, 30% Merlot, 15% Syrah and 15% Cabernet Franc. 13.5%ABV and bottled in 2008 the wine sells for 18€ a bottle. Medium to full-bodied, garnet in colour with very fat, slow long legs. On the nose ripe fruits, plums, cherries, blackberry and blackcurrant and herby with rosemary and thyme. In the mouth initially lean, blackcurrant fruit with herbs, balsamics. This is a wine to settle down with on a cold night and just drink slowly. Absolutely loved this! Back to the whites, this time another Albariño, Viña Nora, 2011 Rias Baixas. Also 13% ABV, the wine is pale lemon, clear edged, clean and very bright though with short legs. On the nose apricot, apple and melon. In the mouth subtle, evolving, apricot and peach, nice acidity, grapefruit long full finish. Textbook. Another tinto came from Castilla la Mancha, Venta la Ossa 2008, Syrah from bodega Mano a Mano. From old vines, the wine spends 12 months in French and American oak and produces a deep, almost black cherry colour with long legs, which on the nose is smoky, and floral with ripe cherries and hints of oak. In the mouth lots of mature fruit, meaty, full and spicy with an incredibly long finish. Excellent, an absolute favourite on the day. Around 16€ a bottle. Las Moradas de San Martin comes from Madrid and Initio 2008 is a Garnacha from 2006 at 14.5% ABV. The wine comes from 60-year-old vines and spends 11 months in French oak. Medium cherry red with good long legs. On the nose plums and dried fruits, ripe cherry. In the mouth good fruit, weighty , well-balanced, meaty , full and with a spicy long finish. Nice wine at around 15€ a bottle. Viña Mayor Secreto 2009, Vendemia Seleccionada is a wine from the Ribera del Duero, an area which is often accused of producing hard wines. At 13.5%ABV it is 100% Tinta Fina, (Tempranillo). After 10 months in oak, the wine spends three years more evolving in the bottle. Cherry red, deep with violet edge and long legs. On the nose spiky black cherry fruit, mature, with good balsamic notes and spicy tones. Meaty, well structured, balanced in the mouth with a long satisfying finish. 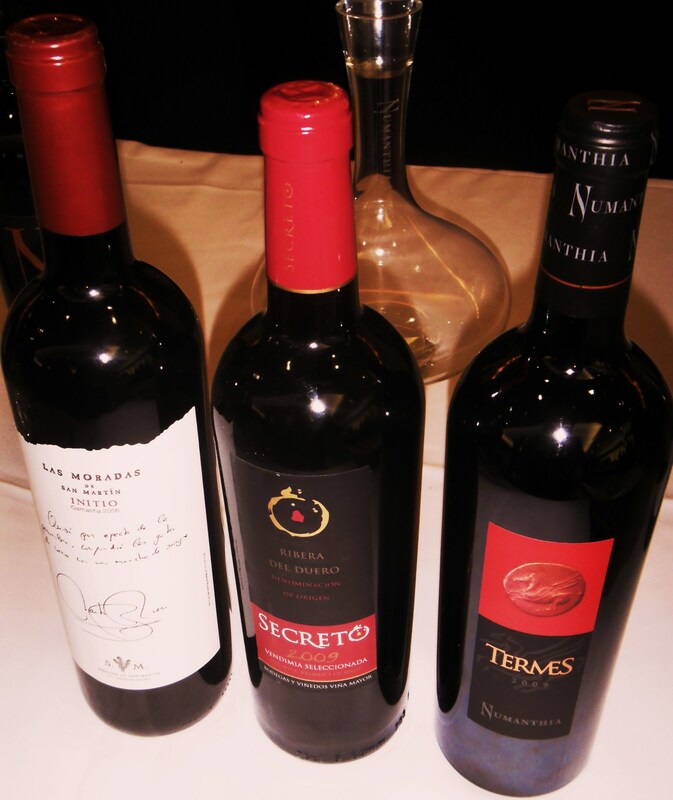 I have been impressed by the wines from Toro and Numanthia are generally rated amongst the best. An opportunity to taste the Termes 2009 was not to be discarded but it would have been nice to have tasted the top wine as well….the reason given that it needed several hours in the decanter to improve could have been sorted by opening it the night before this lunchtime session….but what the! Here is a deep , deep black cherry winewith some of the slowest legs I have ever seen…15%ABV. On the nose there were cherries, guindos, those morello cherries which are bitter-sweet. In the mouth mature red fruit, completely filling the palate, unbelievably full, with huge depth and a massive long finish. How I wish I had a cellar full of this! 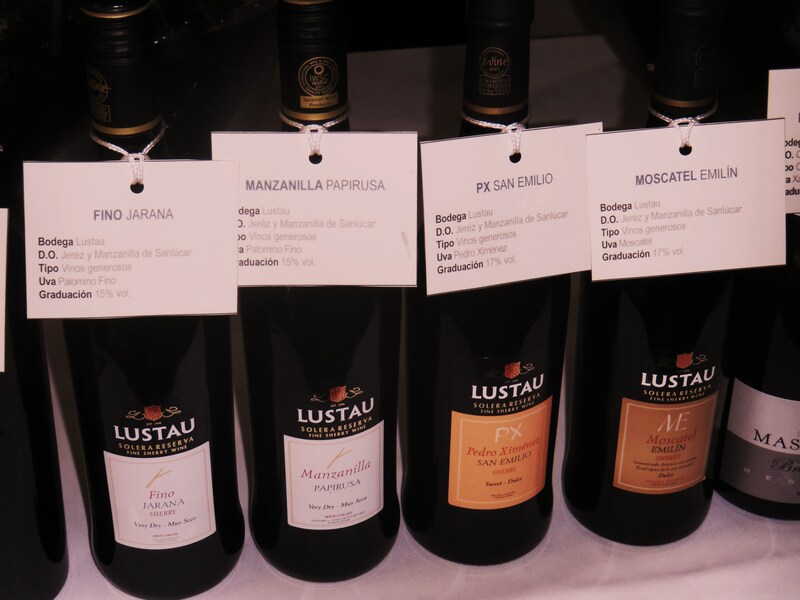 Two final wines which are classics, two wines from Jerez, two wines from Lustau who are amongst the greatest almencistas in the business….a firm that buy in the best wines from sherry country, age them in cellars and then release them onto a very discerning and specialist market. The first was a Manzanilla de Sanlucar, a wine which normally is fresh, having completed its very special fermentation then sits in barrels on the harbourside absorbing the sea-breezes which it then releases when poured……..the very best and driest sherry. So, now take those barrels and shove them into a dark corner for some time before eventually, many years later releasing some half litre bottles. Imagine how a wine which is meant to be searingly salty-dry tastes when it is aged….heaven…unbelievable!!! Pale gold, long, long legs, still bright and on the nose salt, yeast, concentrated yeast, patisserie. In the mouth a real treat, fine, salty, hints of bacon, oh……how I want to visit and taste more of this! Surprisingly not expensive…around 15€ a half litre. Finally a Pedro Ximenez, PX San Emilio from the same firm…and a wine I believe is available in Carrefour here in Valencia. You will not find a grapier, more concentrated, sweet black sherry which in my view should be drunk with the saltiest old blue cheeses such as grey cabrales or drizzled on vanilla ice-cream. God and health willing I so much want to visit Jerez in the new year….the wines are so, so good and ridiculously underated….victims of fashion which needs re-dating! 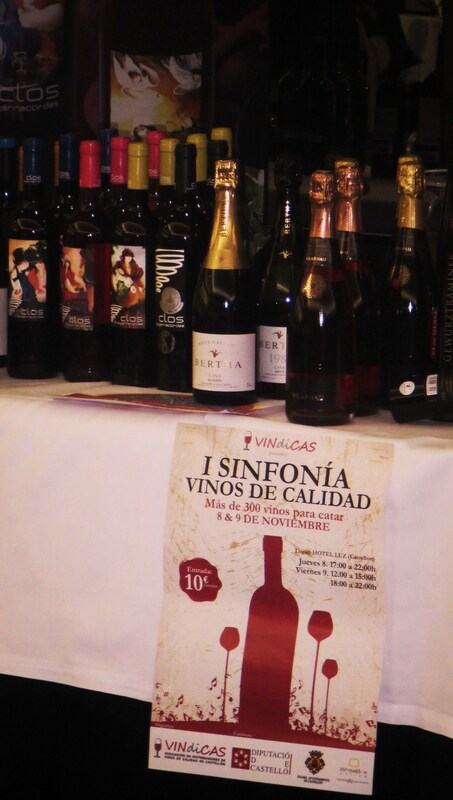 Well, thanks to all the distributors who made their wines available. This was a very good tasting and I only wish I could have attended a second session. DO Toro. Some Random Bottles Tasted In Valencia. DO Toro is not well-known, but it is a rapidly emerging wine-making area in Spain, undergoing something of a re-awakening at the hands of several top wine-makers. Situated South of the Duero, in the extreme South East of the Province of Zamora and cuddling-up to Vallodolid it is characterised by deep but poor soils and a climate of extremes with very cold winters and very hot summers. I have tried one or two wines, amongst them Numanthia and Pintia the latter part of the Vega Sicilia group and remember the depth of the wines and their prices! In the last week or so three producers from the DO have had their wines highlighted in tastings or presentations at Las Añadas, by coincidence rather than concerted effort! Nonetheless this has given an opportunity to look at some of the wines from new producers. 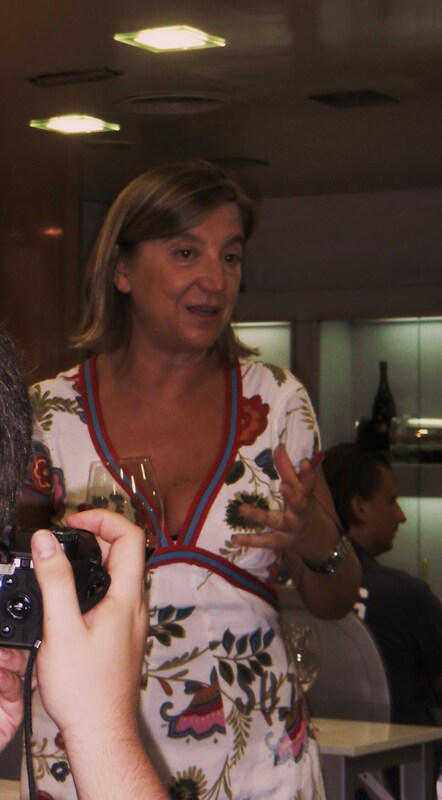 Victoria Benevides of Bodegas Elías Mora. First wine was San Roman 2007, 100% Tinto de Toro (Tempranillo) which has spent some 22 months in new French oak barrels (80%) the rest being American. San Roman is the project of Mariano Garcia, who has previously been responsible for Vega Sicilia, no mean provenance! To the eye, a very intense cherry red, with a violet edge, deep and with long slow glycerinous legs. On the nose mature red and black fruit, jam, then hints of oak, sweet spices, chocolate, coffee and minerals. In the mouth the fruit is mature, deep and the next sensation is of tannins, smooth and warm with a very long dry finish with minerals. A wine to keep and for food. 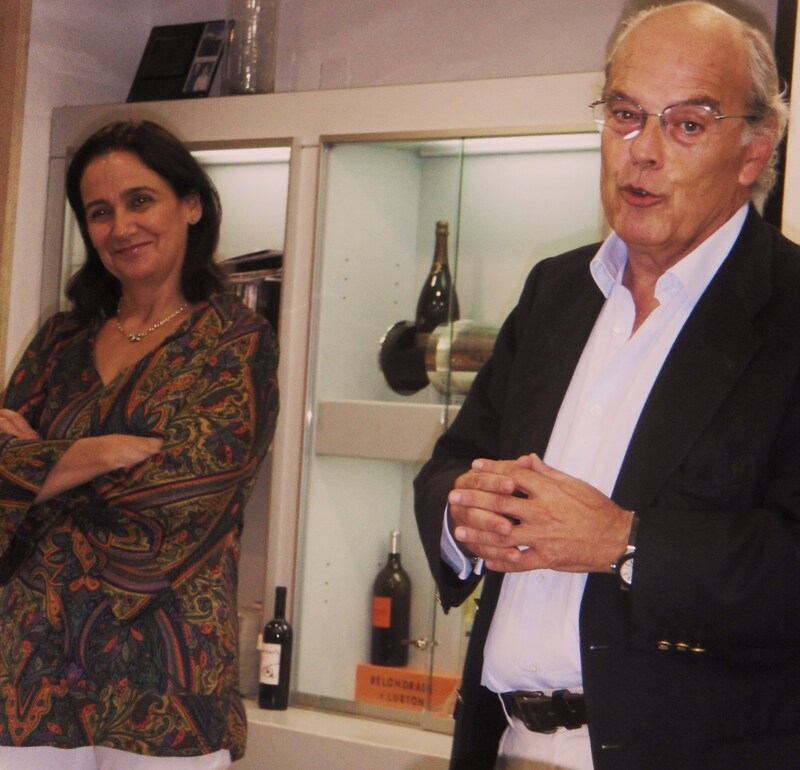 Later in the week las Añadas presented the wines of Elías Mora with Victoria Benavides leading the tasting. Situated in the town of San Roman de Hornija the bodega´s vineyards are also poor in soil with no natural organic matter and lots of river stone. The bodega is modern but at it´s heart are traditional values. The bodega is at the heart of the vineyard which consists of around 80 hectares in 66 smallish parcels..
Victoria Benavides is co-owner and wine-maker and inherited from her great-grandfather books on wine. She is a product of the wine schools of Madrid and Bordeaux and within a relatively short period of time has won many plaudits for the wines she produces from critics, fellow wine makers and wine-drinkers alike. We began with the Viñas Elías Mora 2009. This wine is medium density, cherry red with a violet edge and long slow legs. On the nose quite forward, nice black fruits with a hint of oak and `caremelos´ from the six-months in American oak. In the mouth intense fruit, smooth tannins, quite fresh and an easy drinker. The 2008 Crianza was a step up. A similar colour but with less intense edge. Fresh and jammy on the nose with liquorice, vanilla and eucalyptus, it was finer and smoother. In the mouth a little drier with the tannins more pronounced. For me very smooth with pronounced oak, powerful long finish and in need of food! Third wine was the Gran Elías Reserva 2007. This has had 17 months in French oak and was a little deeper in colour again with long slow legs. On the nose much more subtle, fresh, deep, fine, elegant with eucalyptus and tobacco leaf. In the mouth powerful, complex, smooth, very powerful with tannins which seemed to be more fruit than oak based. A powerhouse of a wine. Fourth tinto was the 2V Premium 2005, now sold out which garnered a mere 96 points in Parker. The previous wines to put them in context had a mere 90,92 and 93 respectively! This was deeper ruby-red in colour, with a hint of garnet at the edge. On the nose very concentrated, balsamic, more mature fruit, membrillo, apricots, jams, figs. In the mouth this is immediately spectacular, very full and complex, concentrated fruit flavours, nicely balanced with touches of oak which underly rather than predominate. The wine has a long concentrated finish. Finally we were treated to the bodega´s dulce, 16% ABv and not DO Toro but also from Tintorea. Quite similar to the crianza in colour with very long and very slow legs from the pasified grapes! On the nose a wonderful concoction of floral scents and flavours. Violets and lavender, daffodils and tulips and then Halls mentholyptus boiled sweets! Very complex. In the mouth the boiled sweets persisted, very full bodied, powerful, almost medicinal. Maria del Yerro and Javier Alonso. Finally we looked at two wines in a presentation by Maria del Yerro and Javier Alonso of bodega´s Alonso del Yerro. Both are wines made with the heart and from a project whose simple aim is to make the best wines possible. The first was actually a Ribera del Duero from outside the DO, the 2008 Tinto Fino with twelve months in French oak. The project, which covers some 26 hectares began in November 2002. The crianza was a deep cherry red, medium to high density with a violet edge and long glycerinous legs. On the nose an abundance of red and black fruit, a touch of soil, liquorice, spices ( clove and green pepper) hints of minerals and balsamics. And it took some time for the different elements to emerge from their base. In the mouth the first hints of fruit were supplemented by tannins, fresh, minerally, good body and a very long finish. PayDos is the DO Toro wine and with 15 months crianza in French oak. And the wine had a little more of everything about it. In colour more intense, less violet on the edge which was more cherry in colour, with longer slower and fatter legs. The nose was more refined, but the same fruits and spices were there, clove, green pepper, chocolate, forest fruits, particularly blueberry, the fruit more mature and the balsamics smoother. It was smoother in the mouth for me too, lots of fruit, less astringent tannin, powerful structure, potential, and a long, long finish. Very nice wine. Well what can we say we have learned about Toro. Tempranillo here in its local clone produces relatively hard, powerful wines with lots of potential, good fruit flavours, complex with spices and minerals which to me seemed to be common across all the wines shown and show the terroir. Whether they are worth the higher prices they command is a different matter but they are undoubtedly complex quality wines to lay down and drink with serious food. Another lesson learn´t.